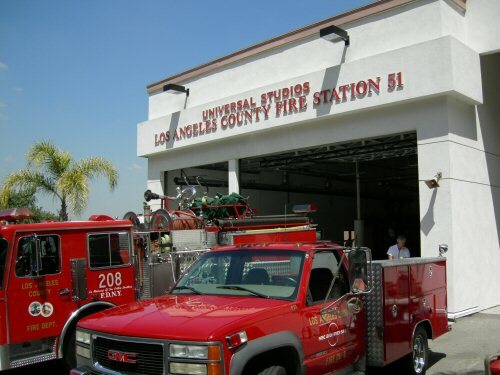 As Universal City is indeed a city, it must have it's own fire station. 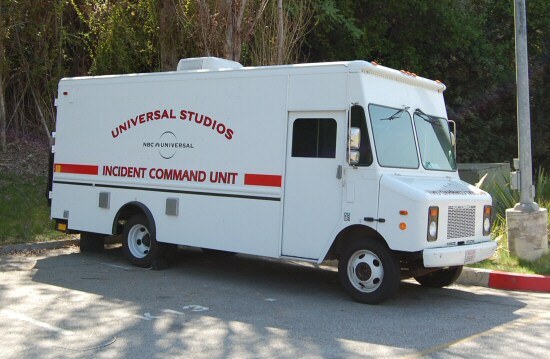 This is one of the first places seen on the front lot, and judging by the number of fires at Universal over the years, they're kept busy. The Fire Station is named after the station in the TV show Emergency! (1972 - 1979). 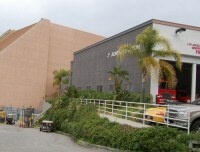 The actual fire station used in that TV show is in Carson. The fire station was unveiled on 30 November 1995 by actor Robert Fuller and Kelly Bracket.